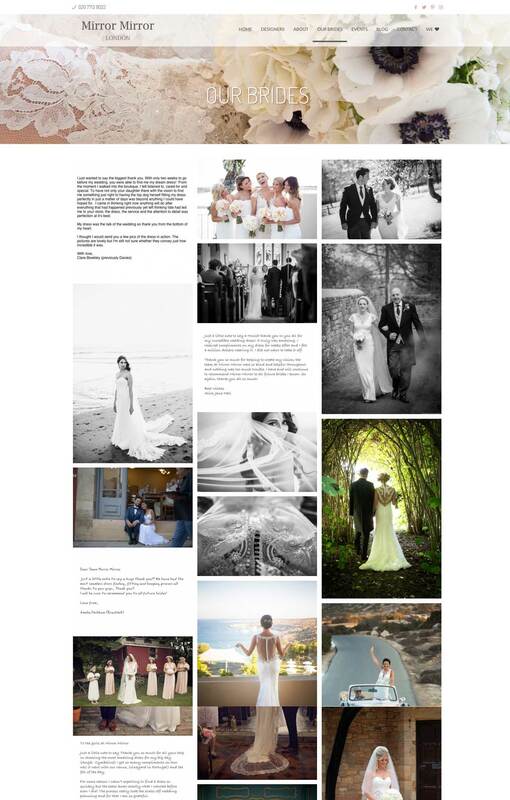 The brief from Jane and Maria was a tough one - they wanted a new website as beautiful as the very high end couture bridal dresses that they sell. The Mirror Mirror website was exciting for us and we won the job against stiff competition from London agencies. Jane and Maria told us that aside from the portfolio of website design which we showed them, it was our hands on approach, the fact that we build long term relationships, and reviews from other longstanding clients that swayed them - they wanted web designers who were in it for the long haul, and who they could rely on long after the website went live. We were lucky to work with beautiful imagery, and a team at Mirror Mirror who bought into our design proposals, and then helped us to achieve a shared goal - a truly beautiful website that was easy to use, just as good on mobile devices, and easy for the Mirror Mirror team to update in house - which they do regularly. 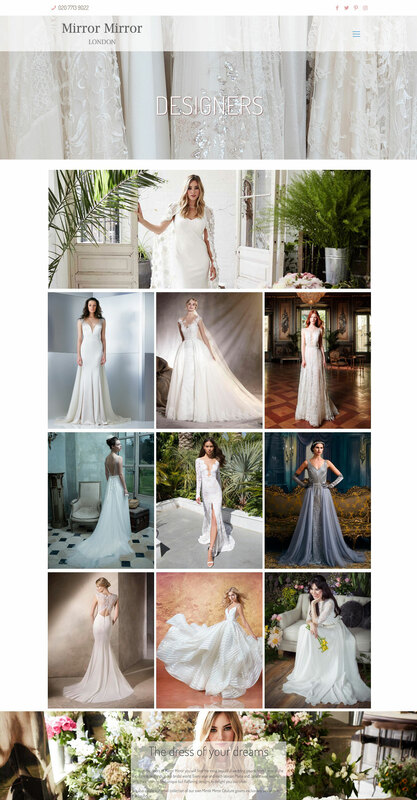 Its not easy to meet the high standards and demands of wedding dress designers/ directors of Mirror Mirror , Jane and Maria, however Three Girls media managed just that! Throughout the process we were listened to and advised professionally . No concern being too small. Communication was always clear. Answers were given , or adjustments made , within very reasonable time frames, reassuring us that progress was constantly being made. Our website is now up and running, however we continue to feel looked after, and love the fact that we can add pages to the site as our needs change and we become more familiar with its possibilities. "Thank you" Three Girls. We had our vision and you brought it to life.